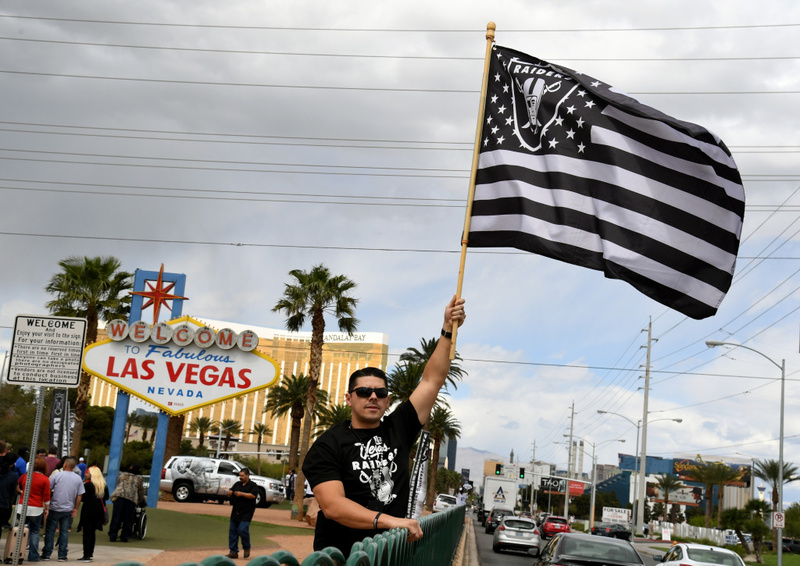 Oakland Raiders fan Matt Gutierrez of Nevada waves a Raiders flag in front of the Welcome to Fabulous Las Vegas sign. 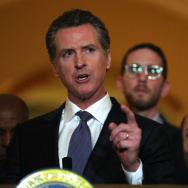 The Raiders will stay in Oakland for two more seasons until their new Vegas stadium is built. How would the move impact Las Vegas, the NFL, and LA fans?